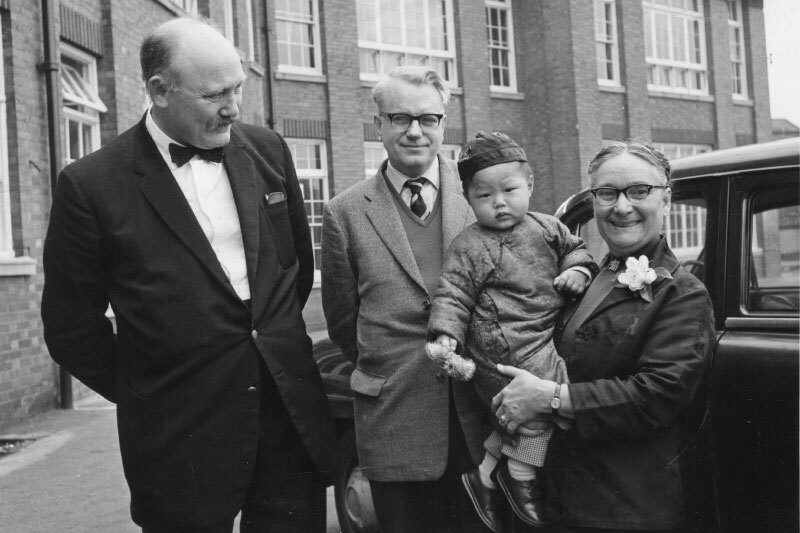 for years I have been trying to bring about a plaque @ 20 Nelson Street to commemorate the opening there of Gladys Aylward‘s Chinese Gospel Mission in 1958. I think I have found one of the Chinese adopted by Gladys;he is pastor of a Chinese church in Ambler,Pennsylvania. I am keen to know of English and Chinese individuals,organisations and pub- lications likely to be interested in this subject.Can you help?. 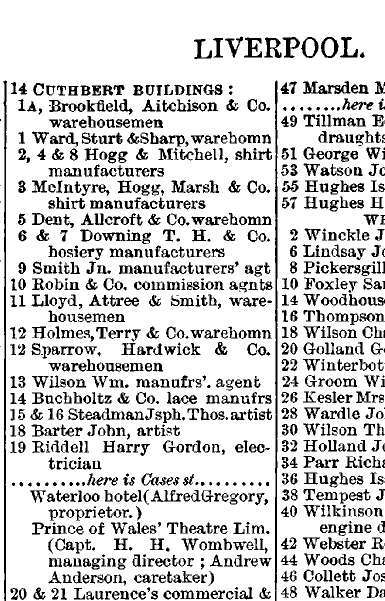 I am researching my ancestor Braithwaite Poole who was listed as a Railway Manager on the 1851 census and lived in Prescott Rd, West Derby. I was wanting to find out more about him (I live in Australia). I have found on the internet some books authored by a Braithwaite Poole written about Liverpool and it’s commerce. I wanted to confirm if this is the same person or not. Do you have any suggestions as to who I can contact about him? 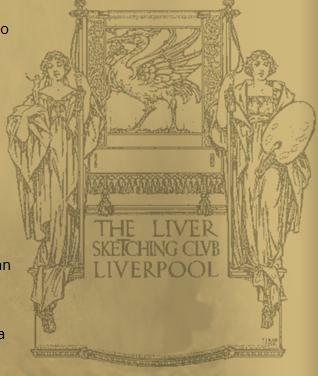 I am writing the history of The Liver Sketching Club which has been active in Liverpool since 1872. 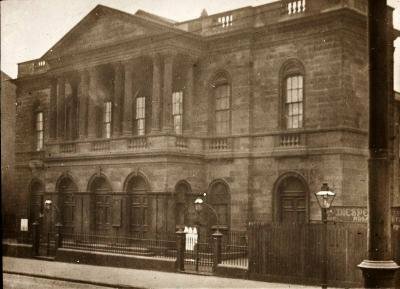 The club moved into the city centre from Everton in the late 1870s and occupied premises on the top floor of a fruit warehouse in Williamson Street, Liverpoool until it moved to Clayton Square in 1880. 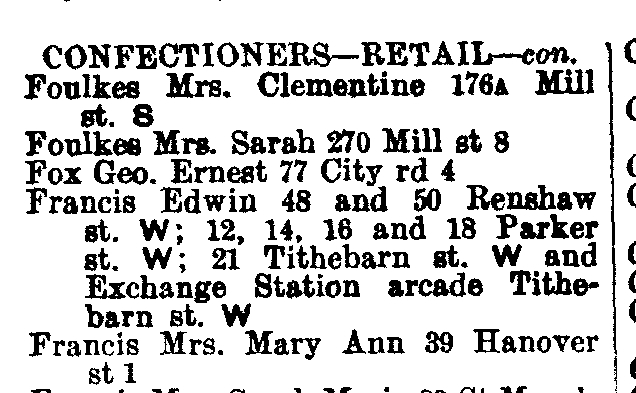 Does anyone know of the existence of a fruit merchant’s business in Williamson Street around 1879 to enable me to identify the address? I would be pleased to acknowledge anyone who provides information in the final draft. Many years ago I appeared in the play “The Man Who Came To Dinner” which was performed in a Theatre over Crane’s Piano Shop in Liverpool. Does the Theatre still exist please? 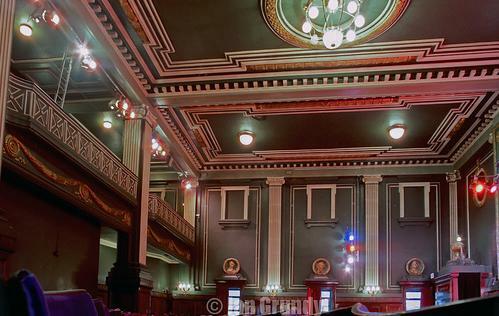 All information I can find relating to the “Shaw Street” synagogue tell of the building’s origin as a Wesleyan chapel. 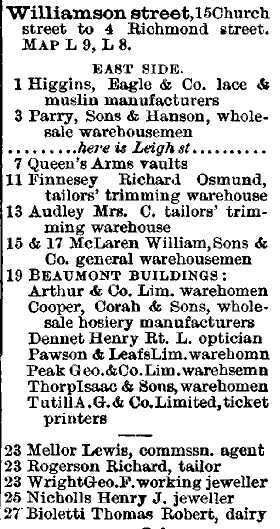 This has me puzzled for I am unable to find a Wesleyan chapel in Shaw street just prior to 1908, when the chapel was supposedly converted to a synagogue. 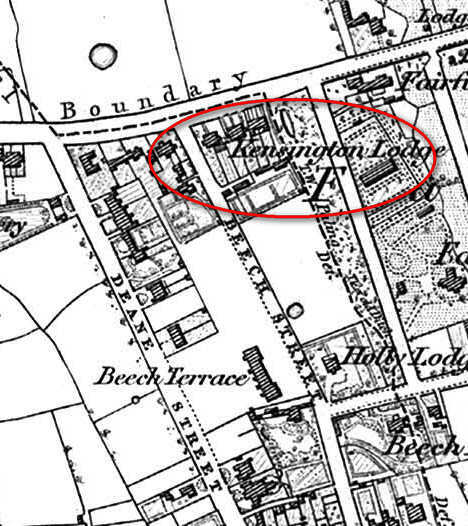 The only record I can find of a Wesleyan chapel in the close vicinity is in Moss Street, the southerly continuation of Shaw Street, where an early Georgian style building existed in the 19th century. Can anyone help me locate this building, was it Shaw Street or Moss Street?? 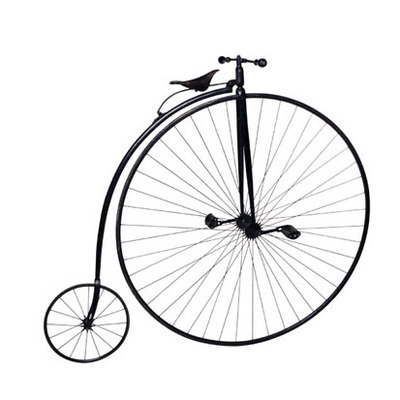 First Penny Farthing made in Gateacre/Woolton ? I am a member of the Liverpool History Society, and am attempting to ascertain the validity of whether the first “Penny- farthing cycle” in the North West, was built in Gateacre/Woolton by a George Blundell b 9/10/1863 –d 2/02/1936 – Cycle maker circa 1879/1925. I also know that he later made cycles in Prince Alfred Road, Wavertree. I once had a testimonial to this feat, though sadly, now it is lost. 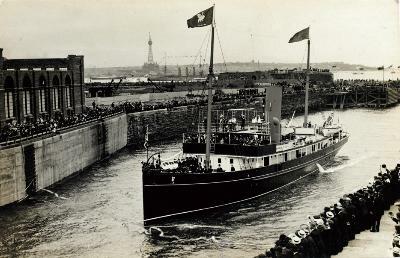 My grandfather Alfred Edward Acton retired from long service in the grand Cunard transatlantic liners, such as ‘ss Bothnia’ and ‘ss galia’ from Liverpool to New York as chef and ended his days serving as chef in the prestigious steam yatch Galatea. Could you tell me more about the life and times of the yatch and the calibre of the dignitaries visiting the port’s dock system. I would appreciate a photo if available. I understand that my grandfather Joseph Barrett was the Consulting Engineer who oversaw the mounting in 1911 of the Liver Birds on the Royal Liver Building. Is there any documentation of the building process that could provide confirmation of this for me? I would be grateful if you could let me know of any archival material that may exist. I have walked up and down Grove Street loads of times between Liverpool Women’s Hospital where I work and Brownlow Hill where my daughter works. I pass an old building which has Research Institute written over the door and I wonder what went on there and how it came to close. Does anyone in your society know anything about it?